We liked everything. It was actually perfect. There was everything one could possibly reasonably expect. 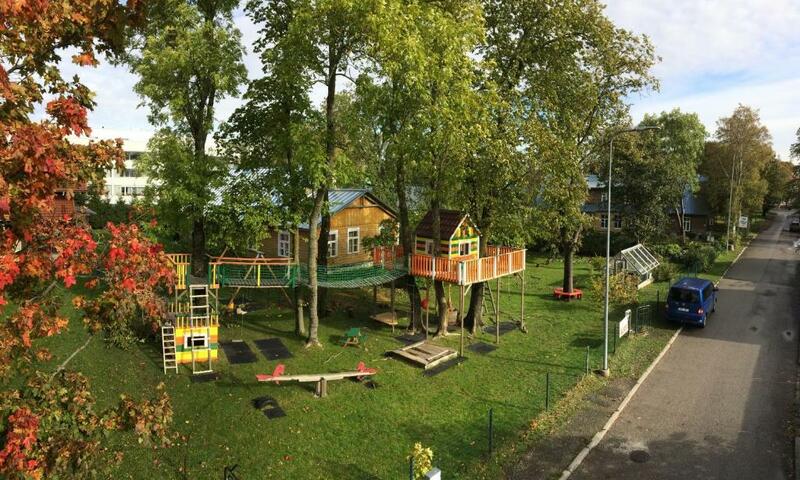 Children enjoyed a lot playground in the yard. Adults enjoyed fireplace and peace of mind. I visited with my partner and we were both very satisfied with Maria's house - the rooms were functional and lovely, we had everything we needed and were greeted by the daughter of the house who was sweet and introduced the place to us when we arrived. Maria was helpful and kind, and it was obvious the family has put care and effort into shaping the house to be a comfortable and enjoyable place to stay at. 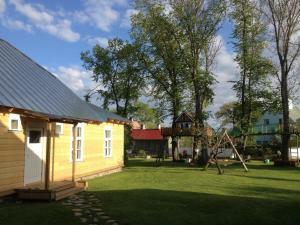 It is also a great place for families with children as there are little play houses and platforms on the trees for the children to play in outside. It is an extraordinary place especially for families. The friendliest hosts we ever met. Great place for children and very nice hosts and hospitality! Very good location. A beautiful place. Maria had thought of everything and made us all feel very welcome. There were toys and colouring for the children and a lovely garden. 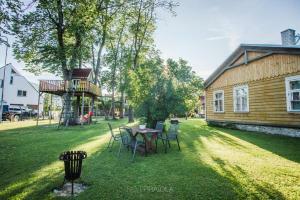 We stayed in Grete which had a really homely feel. I had cause to email Maria andMuck in advance. They were very quick to reply and try and help. The warmth we felt on arrival was reflected in their emails. Very cousie and nice place. Perfect with childrens. Nice playground. Friendly family. 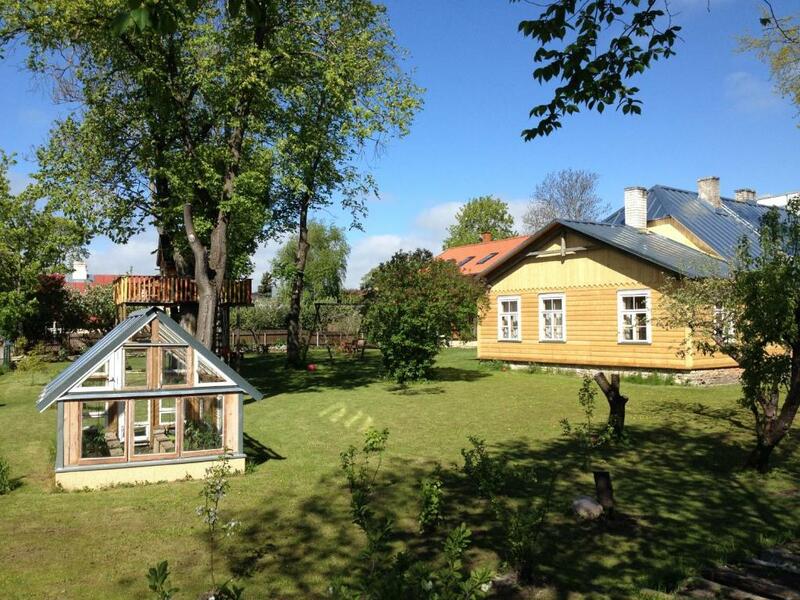 Hospitality, friendly, great garden and playground for children. 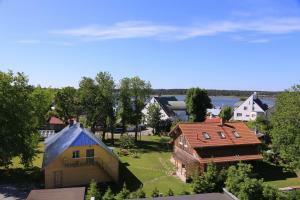 Accommodation is very tastefully renovated, extremely clean and quiet. Very good choice for families and couples. 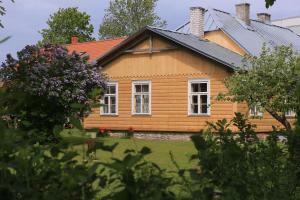 Not far from main street of Haapsalu. Nice seating area outside for morning coffee. Owners very friendly and helpful. Rooms are very well equipped with coffee making, light breakfast essentials and also board games for kids and adults. Nice fireplace. Šī ir labākā naktsmītne, kādā vien esam uzturējušies ar ģimeni. Pilnīgs miers un nesteidzība, komforts un mazpilsētas idille. Mājas saimnieki tiešām ir ieguldījuši sirdi un dvēseli, atjaunojot seno ēku un piešķirot katram dzīvoklim īpašu šarmu. Īpašas rūpes bija ik uz soļa, piemēram, mūsu mazajai divgadniecei bija sarūpēta liela spēļu kaste, pašu radīti zīmējumi, kurus izkrāsot, bērna vannīte ar peldlietām un citi mazi, bet ļoti nozīmīgi sīkumi. 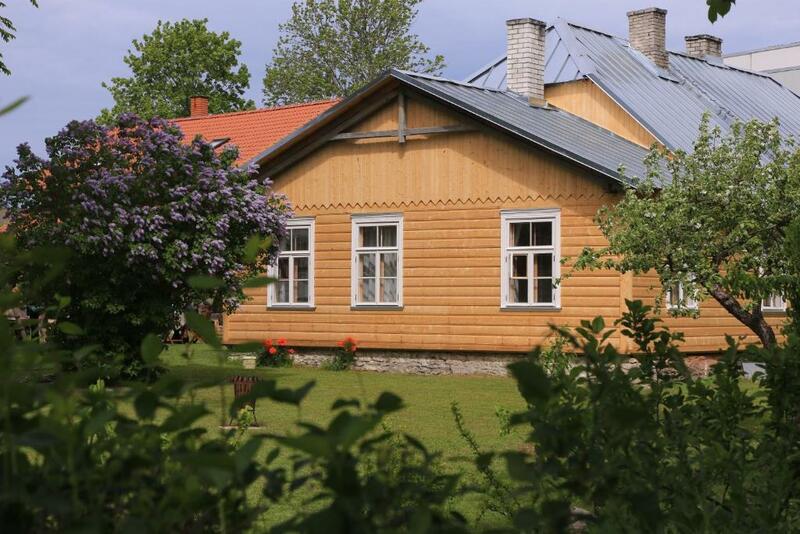 Protams, bērnam vislielākais prieks bija par māju kokā turpat pie dzīvokļa, šūpolēm un citām spēļlietām, kur viņa varēja spēlēties pēc sirds patikas, kamēr vecāki turpat līdzās var atpūsties ābeļdārzā. Tiešām - idille! Noteikti atgiezīsimies. Lock in a great price for Marias House – rated 9.9 by recent guests! Marias House is a self-catering, private accommodations in a quiet area in Haapsalu center. 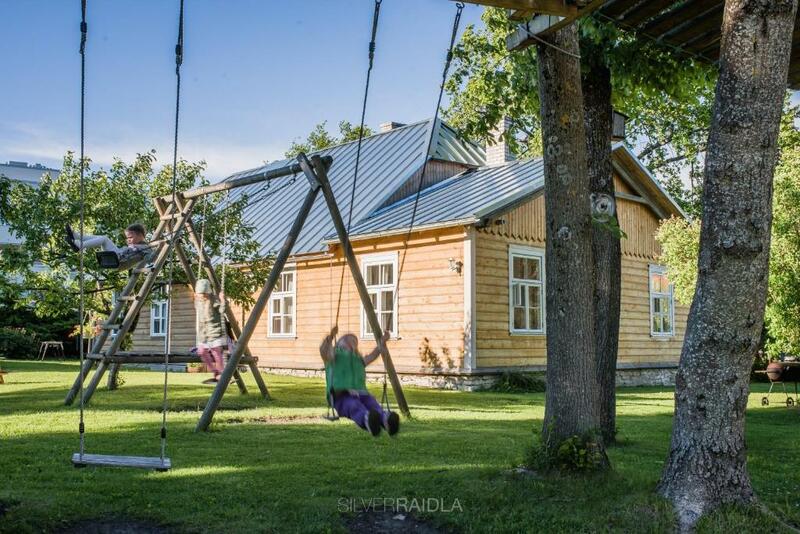 The property is surrounded by a garden, where guests will find a tree house, children's playground and barbecue facilities. The property offers free parking. The accommodations will provide you with a living room and a fireplace and free firewood. There is also a fully equipped kitchenette, which comes with a refrigerator, free milk carton and kitchenware. The bathroom features a shower, free toiletries and a hairdryer. Bed linen and towels are provided. Restaurants and cafes are within walking distance. Sandy Paralepa beach is 15 minutes walk away. When would you like to stay at Marias House? This apartment features a kitchenware, barbecue and dining area. Die Unterkunft liegt in der Altstadt von dem idyllischen Ostsee-Kurort Haapsalu, in der Heimatstadt von Ilon Wikland, der Illustratorin von Astrid Lindgren-Büchern. Wir bieten drei Apartments (gloria 51 m2, grete 39 m2 und aurelia 25m2) in einem traditionellen estnischen Blockhaus in der Altstadt von Haapsalu an. Wir haben probiert, den ursprünglichen Stil einzufangen, zu erhalten und trotzdem in etwas Neues zu überführen. Die Geschichte der Region und die Ansprüche der Moderne sind liebevoll miteinander verbunden. 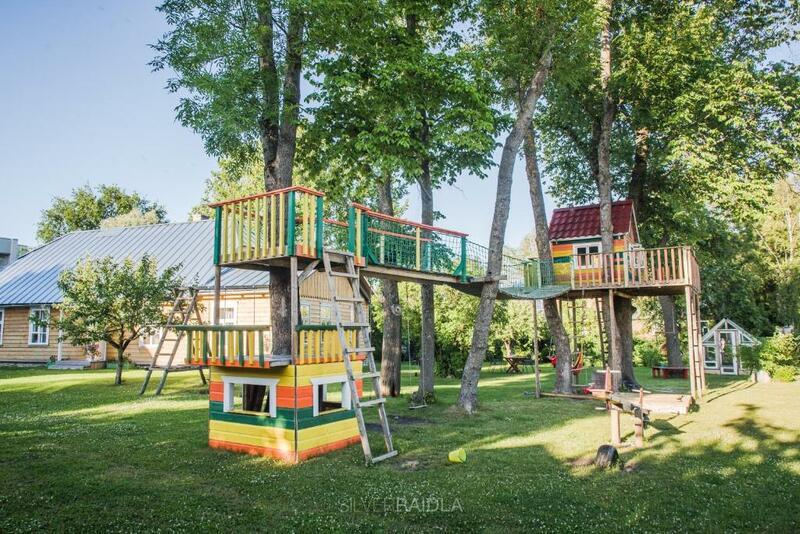 Das Haus ist umgeben von einem großen Garten mit vielen alten Obstbäumen und einem bunten Baumhaus mit Hängebrücke, das alle Kinderherzen höher schlagen lässt. Hallo, ich bin Maria! 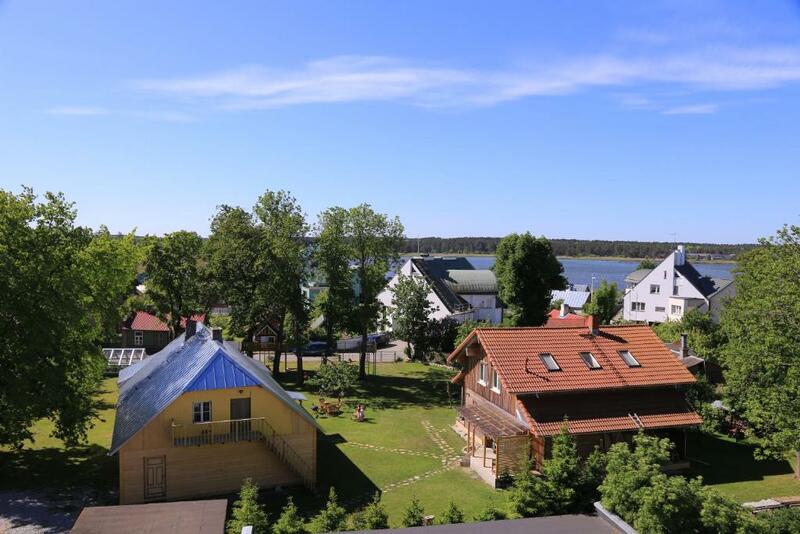 Ich bin in Haapsalu geboren und aufgewachsen. Als Pfarrerstochter habe ich hautnah kennengelernt, was ein offenes gastfreundliches Haus bedeudet. Durch die vielen Besuche, auch aus anderen Ländern, habe ich ein großes Interesse für fremde Sprachen entwickelt. Während meines Germanistikstudiums in der südestnischen Universitätsstadt Tartu habe ich die Liebe meines Lebens kennengelernt und bin dadurch für 10 Jahre in München beheimatet gewesen. Seit 2011 bin ich wieder zurück in meiner Heimatstadt Haapsalu und geniesse mit meinem Mann und unseren vier Töchtern die Kleinstadtidylle. Wir lieben unseren großen Garten, der ein echtes Kinderparadies darstellt. Wir freuen uns auf alle Gäste, insbesondere Familien mit Kindern. Mein Mann und ich sprechen folgende Sprachen: Estnisch, Deutsch, Englisch, Schwedisch, Finnisch und Pidgin Englisch. Tere tulemast! Herzlich willkommen! Welcome! Välkomna! Tervetuloa! Welkam tru! marias house liegt nahe dem Zentrum, jedoch in einer ruhigen Nebenstraße. Direkt im Umfeld finden Sie die Strandpromenade, die Bischofsburg mit dem mittelalterlichen Dom, das Erlebniszentrum “Ilons Wunderland”, Cafés, Badeplätze, Spielplätze, Einkaufsläden und die Fernbushaltestelle. House Rules Marias House takes special requests – add in the next step! Please inform Marias House of your expected arrival time in advance. You can use the Special Requests box when booking, or contact the property directly using the contact details in your confirmation. Nothing. Maria's House is a wonderful place.